I am in the process of creating my Capture page, etc. This is all new to me, as far as creating info. Is it best to just request a first name & e-mail, or better to request 1st, last name, e-mail & phone number. I like to be able to call people. I assume this info can be changed in the future. I don’t want to scare potential business partners off by asking for too much info. You are correct in thinking that phone number might decrease your opt-in rates. I’ve had phone number decrease opt-in rates by up to 50% in some offers. You need to measure the metric that makes the most sense to your business goals. If your goal is to build a large audience that knows likes and trusts you by providing exceptional content, you might want to go with email only. 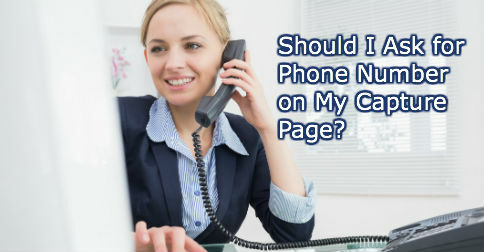 But if you want to convert as many possible leads into sales as quickly as possible, and you are going to be calling every lead, I think getting phone number is important. The other option is to do a hybrid where you make phone number (optional). 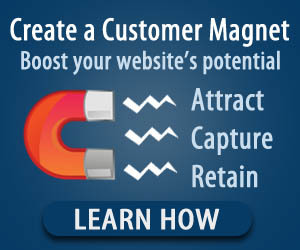 This allows you to call all of the people who want to receive a call without losing anyone who just wants to join your email list. At the end of the day each business is different so you just need to try all three to see which one delivers the best result for your business goals. Here are a few other articles that might interest you.